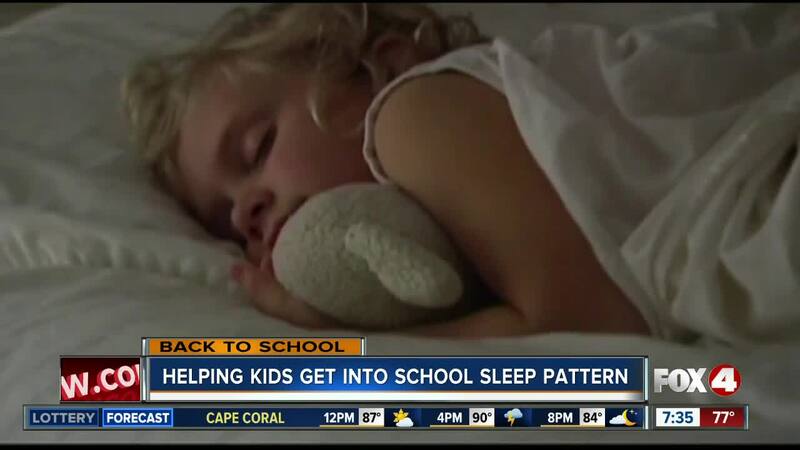 LEE COUNTY, Fla. - Kids are heading back to school, and in order to make sure they're successful in the classroom, doctors say their success is dependent on the amount of sleep they're getting. 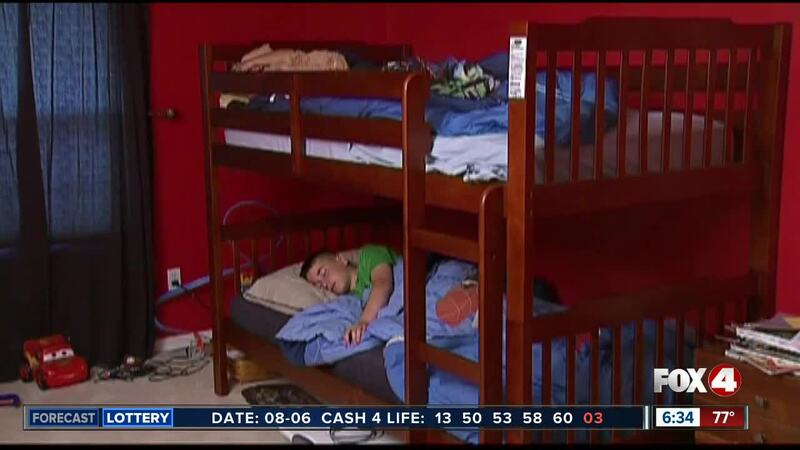 According to Dr. Jose Colon, a sleep specialist with Lee Health in Florida, it's important to make sure kids not only get the proper amount of sleep every night, but making sure they get into a routine a few days before they're back at school. "If we're sleeping in for a longer period of time, which we commonly do sometimes during the summer, we're delaying the exposure to the sunlight and that alters your own natural melatonin, making it so that you have this predisposition towards staying up later," Colon says. He also says set a specific wake up time for kids no later than a few days before they start school. In order to help them get to bed earlier, help them get relaxed by avoiding electronics with LED light. "You don't have to walk around the dark with your eyes closed, but doing what you can to minimize artificial lights is going to help your melatonin naturally come out," he says. If kids can't avoid technology, Colon says there's a setting to lower the LED light on most devices. Also, taking a warm bath at night can help kids get to sleep, according to Colon. He says the body will become naturally warmer, but the temperature will drop after leaving the tub. That drop in temperature will help cool the body, which ultimately helps with sleep. He also says adding a few drops of lavender in the bath can help. "Lavender oil has been shown to decrease cortisol, which is our stress hormone, and it's helpful for sleep," he says. Still not sleeping? Colon says there are a few at home remedies to try. "Melatonin has been studied in children with ADHD, Autism, neurodevelopment disabilities and even with people with migraines and it's been shown to be safe and effective," he says. Colon says to purchase the melatonin with a "GNC" label. He also says tart cherry juice has natural melatonin, which can be useful for sleep. A healthy diet and good amounts of exercise are also helpful for sleeping. For more tips, click here .